The hot and humid busy city of Jakarta is the capital of Indonesia. Also the largest city in the nation, it holds the record for being the most populated city in Southeast Asia and 12th largest city in the world and the second largest metropolitan area in the world. Jakarta’s first name was Sunda Kelapa, then Jayakarta, then Batavia and finally Djakarta before it became Jakarta in 1972. As it is the political and economic capital of this Asian archipelago, Jakarta pulls many foreign and local settlers. This mix has created it to become a crazy cosmopolitan city with an equally crazy mix of cultures. Jakarta is called “The Big Durian” by expatriates living in the city. The durian is a tropical fruit with a strong distinctive smell and is an acquired taste. A sweltering urban zone, Jakarta can be daunting at first with its flooding streets, unmoving gridlocked traffic, crowds and income disparity. There is huge disparity between the wealthy and masses here. It is not uncommon to see the latest Mercedes Benz model cruising through a dirty alley with street urchins. Driving here is certainly a challenge. If you are not sitting in a crazy traffic jam for hours, you are defensively driving against other aggressive vehicles. Road rules here seem to be merely suggestions. But many who live here really learn to love Jakarta, as it has a lot of charm, and life here can be sweet and indulgent. There is a lot of shopping that can be done both in its luxury malls and local markets and the night life here is one of the most vibrant in the Asia. Jakarta is a melting pot of cultures, with 300 ethnicities represented, speaking over 200 languages and dialects. Bahasa Indonesia though is the most widely spoken. Most of the local residents here are “Orang Batawi”, descendants of the recognized tribes that settled here in the 18th century. Sundanese, Javanese, and Arabs make up a good part of the population, as well as the Chinese who make a huge percentage of the wealthy. The architecture in Jakarta is largely a reflection of outside influences which arrived in these seaport city years ago, and some of which stayed. The oldest section of Jakarta, known as Old Batavia with its colonial buildings is undergoing renovation by the Taman Fantahillah Restoration Project, to restore it to its original glory. The old Town Hall, Portuguese Church and old Supreme Court building in Old Batavia have been renovated into museums. Jakarta continues to expand its tourist facilities as it continues to welcome more visitors. Luxury hotels, sprawling shopping centres, fine restaurants and pulsing night life venues continue to pop up all over the metropolis. Skyscrapers in the central business district seem to climb higher and higher. The quality of life of Jakarta’s residents has improved alongside the city’s development. Jakarta is where many of Indonesia’s top universities are. The oldest is the privately owned Universitas Nasional and the state-run University of Indonesia. Two of the largest in the city are Universitas Tarumanagara and Universitas Trisakti, also privately owned. Professional schools, primary and secondary schools abound in Jakarta. Two major international schools are also in Jakarta, the Jakarta International School and British International School. Jakarta has a lot of other unique attractions aside from its monuments and museums. There is the Istiqlal Mosque and Cathedral which is the biggest mosque in East Asia. Ancol is a large complex that consists of Dunia Fantasi, a theme and amusement park; Seaworld, a large aquarium; Gelanggang Samudra, or Ocean Park; and a bevy of other facilities such as hotels, marinas, beachfronts, restaurants and resorts. It is the biggest theme park in Asia. Taman Mini is also a park, but a natural one. 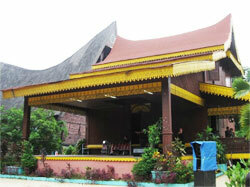 Beautiful Indonesia Miniature Park is a culture-based recreation area covering over 250 acres. It is a visual summary of everything to do with Indonesian culture, including different pavilions featuring Indonesian architecture, dances, clothing and other traditions.